Mark Sidel is Doyle-Bascom Professor of Law and Public Affairs at the University of Wisconsin-Madison. He also serves as consultant for Asia at the Washington-based International Center for Not-for-Profit Law (ICNL), focusing on China, India and Vietnam. In 2016 and 2017 he served as the Charles Stewart Mott Foundation Visiting Chair in Community Philanthropy at the Lilly Family School of Philanthropy at Indiana University and in 2018 as Ian Potter Foundation Fellow at the Australian Centre for Philanthropy and Nonprofit Studies in Brisbane. 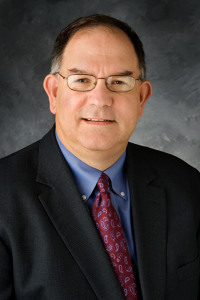 In addition to his academic work, Sidel has served as president of the International Society for Third Sector Research (ISTR), the international academic association working to strengthen research on civil society, philanthropy and the nonprofit sector; on the Council on Foundations Community Foundations National Standards Board, the national accrediting and standard setting body for American community foundations and trusts based at the U.S. Council on Foundations; and on the boards of the Association for Research on Nonprofit Organizations and Voluntary Action (ARNOVA) and the Society of American Law Teachers (SALT). Recent advising and consulting assignments include Indevelop/SIDA (Swedish International Development Cooperation Agency, on human rights programs in China); DANIDA (Danish Development Cooperation Agency, on human rights and legal reform programs in Vietnam); the Ford Foundation (on legal reform programs in China); the Norwegian Centre for Human Rights (on human rights and legal reform programming in China and Vietnam); the Bill and Melinda Gates Foundation (on philanthropic law and policy in China); and other international and donor organizations. Over the past several years he has assisted a wide range of organizations with issues under the Chinese Overseas NGO Law. Professor Sidel has served as Visiting Professor of Law at Harvard Law School, Melbourne Law School, Institut d'Etudes Politiques de Paris (Sciences Po, in the chaire Asie), Victoria, Vermont, Miami and Denver law schools and other institutions, and as W. G. Hart Lecturer in Law at the School of Oriental and African Studies (SOAS) in the University of London. In 2008 he won the ICNL-Cordaid Civil Liberties Prize for his work on the impact of anti-terrorism law on civil society in comparative perspective, and in 2012 he was named to the Outstanding Academic Award by the Nonprofit Organizations Committee of the American Bar Association, Business Law Section. He is a graduate of Princeton University (A.B. in history, 1979), Yale University (M.A. in history, 1982), and Columbia Law School (J.D., 1985). Professor Sidel's research and writing focus on the nonprofit sector and philanthropy (with a focus on Asia and the United States); law and development; comparative law; and human trafficking. Sidel's work has also appeared in Alliance, ForeignPolicy.com, Nonprofit and Voluntary Sector Quarterly, International and Comparative Law Quarterly, Michigan Law Review, Voluntas, Alliance, Michigan Journal of International Law, Pittsburgh Law Review, Texas International Law Journal, Tulane Law Review, Charity Law and Practice Review, UCLA Pacific Basin Law Journal, UC Davis Law Review, Chicago-Kent Law Review, China Quarterly, Asian Survey, SAIS Review, Signs, and other academic and professional journals, as well as in edited volumes. Sidel has extensive and senior experience in international philanthropic and funding communities. He first served on the Ford Foundation team that established the Foundation's office in China and as the Foundation's first program officer for law, legal reform, and nonprofit organizations based in China (Beijing) in the late 1980s. In the early and mid-1990s, he developed and managed the Ford Foundation's programs in Vietnam. Later he developed and managed the regional program on philanthropy and the nonprofit sector for the Ford Foundation in South Asia (New Delhi). Sidel also served on the Ford Foundation's Endowment Working Group and as a drafter of the Foundation's endowment handbook. Before coming to Wisconsin, Sidel served as Professor of Law, Lauridsen Family Fellow, and Faculty Scholar at the University of Iowa. Sidel has also served on the advisory boards of the International Center for Not-for-Profit Law (ICNL); The Rights Practice; Human Rights Watch Asia; the Business for Social Responsibility (BSR) Ciyuan Philanthropy Initiative in China; the University of Wisconsin Press; the University of Iowa Press; Maxwell School Transnational NGO Initiative at Syracuse University; Bridge to Asia; and YMCA Camp Wapsie (Coggon, Iowa). He is a member of the editorial boards of the Law and Social Research; Nonprofit and Voluntary Sector Quarterly; Voluntas: International Journal of Voluntary and Nonprofit Organizations; and the Australian Journal of Asian Law (Melbourne). Professor Sidel has also served as litigative consultant to the U.S. Department of Justice in the largest prosecution of slavery, human trafficking and involuntary servitude since the Civil War, a criminal case involving the servitude of several hundred Vietnamese and Chinese women garment workers (U.S. v. Kil Soo Lee et al), and has served as a consultant to the U.S. State Department on human trafficking and labor law issues. He serves frequently as an appointed expert for British firms and courts in human trafficking cases. Sidel practiced law with Baker & McKenzie in New York, Beijing and Hong Kong and is a non-active member of the New York bar. He speaks and reads Chinese and reads Vietnamese.